The European Forum for Science, Technology and Innovation (Transfiere), which celebrates its 5th edition next 10th and 11th of February at Málaga (Spain), represents a business chance to find potential, technological partners of the scientific and business areas. Transfiere is the biggest professional and multi-sectoral forum of Spanish Innovation, involving public administrations, business associations, european centers of innovating companies, technology centers, clusters, companies (big, SMES, EBTs, and startups), foundations, institutes of technology, scientific and technological parks and universities. In this year's edition, SING research group will participate with InNoCBR, an intelligent system for the detection and classification of nosocomial infection cases developed in collaboration with the Preventive Medicine Service at Complejo Hospitalario Universitario de Ourense (CHUO) and the support of the University of Vigo. 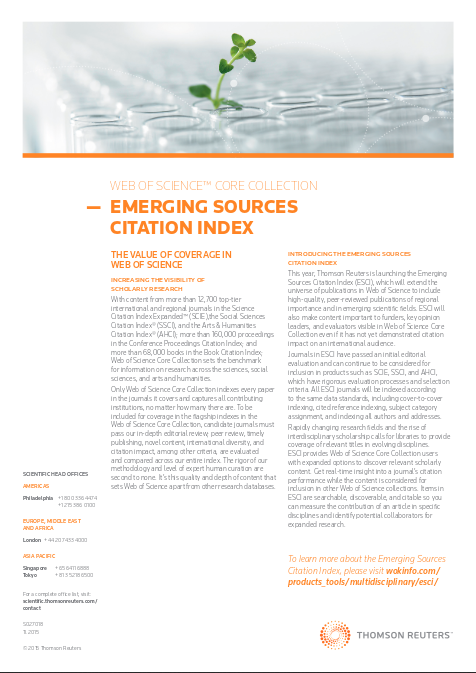 Thomson Reuters recently launched the Emerging Sources Citation Index (ESCI), which extends the universe of publications in Web of Science in order to include high-quality, peer-reviewed publications of regional importance and in emerging scientific fields. ESCI makes content visible in Web of Science Core Collection to key opinion leaders, evaluators and funders, even if it has not yet reached a notorious citation impact on an international audience. Journals included in ESCI have passed a first editorial evaluation and can continue to be considered for inclusion in SCIE, SSCI, or AHCI, which have rigorous selection criteria and evaluation processes. All ESCI journals will be indexed according to the same standards, including cover-to-cover indexing, cited reference indexing, subject category assignment, and indexing all authors and addresses. 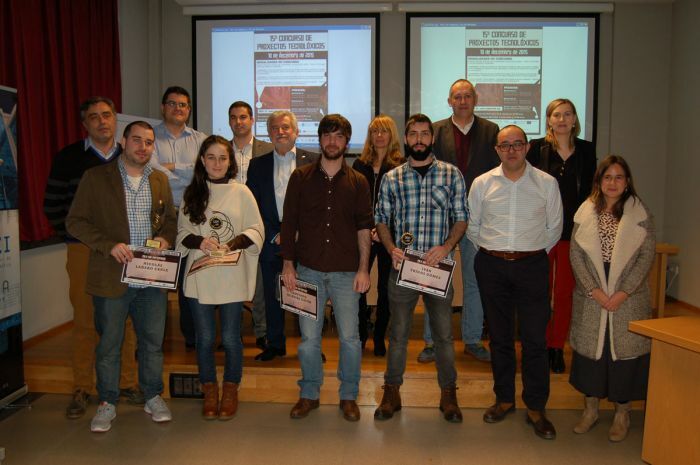 El jueves 10 de diciembre fueron entregados en la Escuela Superior de Ingeniería Informática de Ourense los premios del 15º Concurso de Proyectos Tecnológicos. En la modalidad B, resultó ganador el proyecto titulado Sistema para la detección de grandes inserciónes y eliminaciones genéticas y ayuda al diagnóstico de trastornos neurometabólicos de Nuria Canle Casares bajo la tutela del Dr. Daniel González Peña. Our successful sequence alignment converter, ALTER, is available on Debian stretch (which "testing" release right now) and in Ubuntu Xenial (the future Ubuntu 16.04 release) as a package named "alter-sequence-alignment" [Debian package] [Ubuntu package]. We are very proud that our software be worth to be included in these fantastic operating systems! Mass-Up, our open-source mass spectrometry software for proteomics designed to support the preprocessing and analysis of MALDI-TOF mass spectrometry data, has been included in the latest release of MASSyPup(64), the Mass Spectrometry Live Linux. 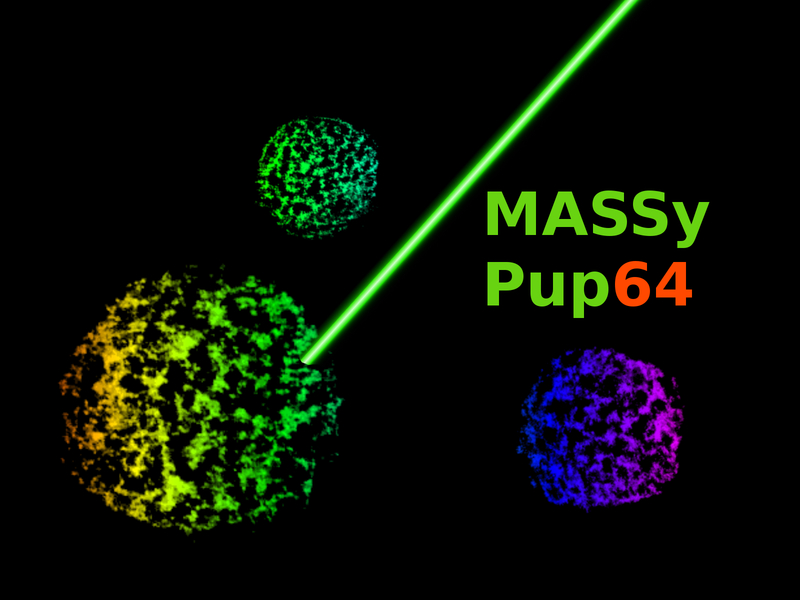 MASSyPup(64) is a Puppy Linux based Live distribution with is focused on the analysis of mass spectrometry data. Since MASSyPup(64) is strongly focussed on efficient mass spectrometry data processing workflows and Data Mining, we are proud and happy that Mass-Up has been included there and can reach a broader range of users. New AIBench release: AIBench meets Maven and GitHub! Aplicaciones prácticas de la inteligencia artificial en el ámbito sanitario: ¿acabaremos sustituyendo al clínico?